Just Reduced!!! Make an offer!!! "RIVER BREEZE" is a 2 Owner FRESHWATER ONLY Pilot House Motoryacht that has been kept in a covered slip since new!!! She is 1 of 7 Trojan F-54 Deckhouse Salon Motoryachts ever produced by the Acclaimed Yacht Builder. Her spacious 3 stateroom/3 Head layout features a Full-Beam Master Stateroom with King Size Berth, En Suite Head, and 2 Cedar Lined Closets, Country Style Eat-In Galley, Large Light Filled Salon, and a Huge Aft Deck that has just been re-Varnished.This layout would be perfect for a Live-Aboard. United Yacht Sales New Jersey would love to guide you through a personal showing of this 54' Trojan 54 Deckhouse Motoryacht 1977. 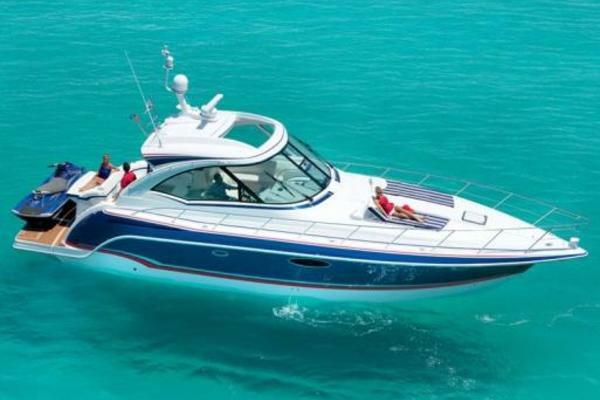 This yacht for sale is located in Knoxville, Tennessee and priced at $165,000. For a showing please contact us by filling out the form on this page and we will get back to you shortly! CREW QUARTERS OR THIRD STATEROOM FWD WITH HEAD AFT. TO PORT JUST AFT AND ON SAME LEVEL, IS LAUNDRY ROOM WITH ACCESS TO GENERATOR ROOM. GO UP 4 STEPS TO GALLEY AREA AND THE GALLEY HAS SUPERB STORAGE AND A HUGE U-SHAPED DINETTE. GO UP THREE STEPS TO PILOT HOUSE AND YOU WILL FIND EXCELLENT VISIBILITY,CHART AND BOOK STORAGE GALORE,ACCESS TO DECKS P&S.MAIN SALON THROUGH PASSAGEWAY FROM PILOTHOUSE STBD. THE MAIN SALON HAS A FULL WET BAR FORWARD, AND INCLUDES TWO RECLINERS AND A SOFA. LARGE DOUBLE DOORS LEAD TO THE AFT DECK WHICH IS SOFT ENCLOSED. THE AFT DECK HAS A GORGEOUS TEAK SOLE THAT WAS JUST RE_FINISHED AND HARD WING DOORS. ACCESS TO THE ENGINE ROOM IS THROUGH A HATCH ON CENTERLINE AT THE AFT END OF THE DECK. ACCESS TO THE FLYBRIDGE VIA LADDER PORT SIDE, AFT DECK. PROCEEDING AFT FROM THE GALLEY AND DOWN THREE STEPS IS THE SECOND STATEROOM,WHICH HAS TWIN BUNKS SEPARATED BY A DRESSER.THE GUEST HEAD AND SHOWER IS JUST AFT OF THIS STATEROOM. THE OWNERS STATEROOM IS LOCATED AT THE END OF THE COMPANIONWAY LEADING AFT. A FULL KING BED ON CENTERLINE WITH NIGHTSTANDS, HANGING LOCKERS AND DRAWERS P&S. ENSUITE HEAD IS FORWARD AND TO PORT,AND HAS A TUB/SHOWER,VANITY/SINK AND GOOD STORAGE. RAYTHEON R41XX RASTER SCAN RADAR,RAYTHEON 600XX RAY CHART,AND AUTOHELM 7000 AUTO PILOT.